Although all of the above-explained points are crucial but the one today we are going to focus is hosting. As we think hosting is the most crucial part of any website and so you should not compromise here. It is hosting which ensures how much time your website will be up and running. If your site itself is not up, then how can you even think of online business. 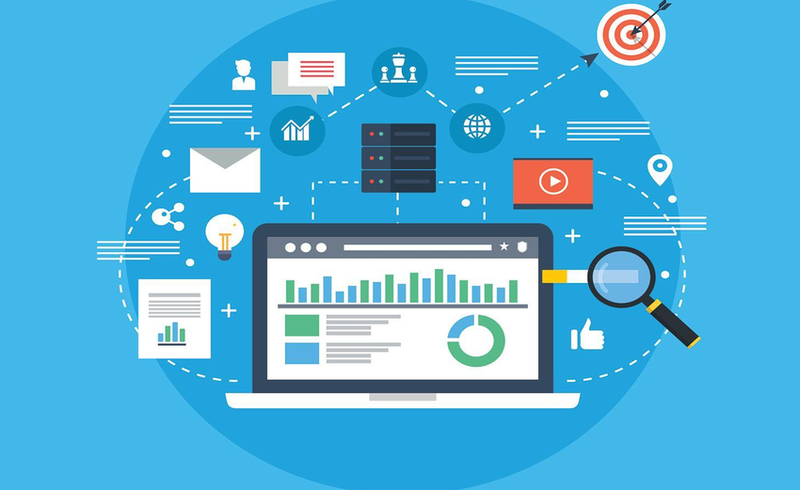 Again, hosting ensures the website performance and speed which is again a very important SEO factor and so you should focus on the hosting most. Although there are hundreds of companies which provides web hosting, but all are not those can be used. Still, most of the web hosting companies claim to provide 99.99% uptime but the reality is something different. In this post, we are going to see 4 best web hosting for blogs in 2019 which will help you host your site in a better way. We will do a detailed comparison of these 4 best web hosting for blogs. I am writing this 3 best web hosting for blogs post based on my personal experience. I have personally used all the 3 best web hosting for blogs provider listed here and so can put my honest opinion. If you think some other hosts also need to be included in this 4 best web hosting for blogs, then please comment on the post and we will ensure it in the next blog post update if found suitable. I have kept 000webhost as being a free web hosting for blogs and website, they provide excellent service and support. And if you are looking for more, you can even move to the paid plans easily and anytime. Excellent uptime- Yes, being free also, 000webhost ensures at least 99% uptime which is recommendable. If you are looking for, even more, you may switch to the paid plan anytime where you can enjoy unlimited stuff like bandwidth and spaces. So, depending on your need, you may select the plan. Can be upgraded to paid plans for better benefits any time which starts at just $3.49/mo. Hostpapa is one of the leading hosting solution providers in the world and among the top in Canadian region. They offer various solutions for hosting for different kind of websites. For example, Hostpapa has separate and dedicated hosting for WordPress, Forums, eCommerce etc. With various data center spread across the globe, targeting a particular segment of users are easy with Hostpapa. This not only helps you optimize the price but also the speed you serve to the customers. Also, Hostpapa comes with the Cloudflare CDN which cache your content and serve fast to the users. Also, in terms of website loading time, the hosting comes at the top. We checked a site with 211kb page size and 17 requests and it just took 1 sec to load. Here are some of the pros and cons I found with Hostpapa. You can check detailed Hostpapa review here. Bluehost is world’s another leading web hosting provider which provides a wide range of hosting solution starting from shared hosting to the dedicated servers. The only issue with BlueHost is the price and support. Their pricing plans are high and also being among the top of pricing, BlueHost doesn’t provide excellent support. 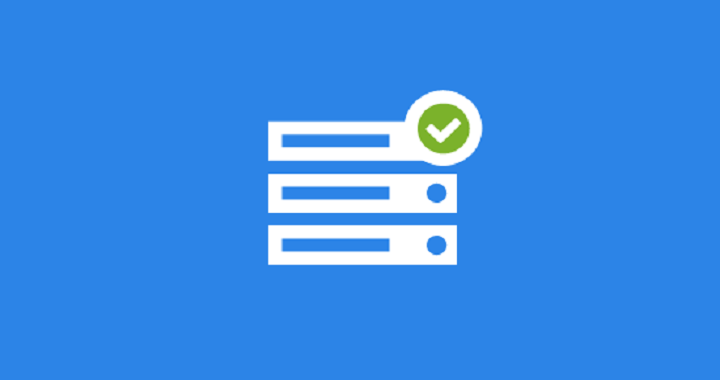 Bluehost’s pricing and plans start at $3.49 per month where you can host one domain and get unlimited emails. One domain will be free for you and will be free until the time you are a Bluehost user. Additionally, you will get the advertising and marketing credit of $100. It also offers free SSL certificate for the domains associated with it. I am currently a Namecheap user as you can see our website hdfstutorial.com is also hosted on the same. 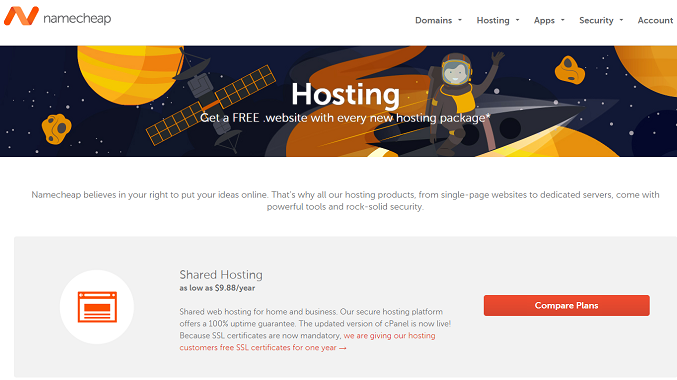 Although Namecheap is not free and only premium plans are there but still there are few features which makes it one of the leading web hosting solution. Also, in the first year of subscription, you can good discounts but that is not unique to Namecheap. Recently, they have started giving free SSL to all the domains hosted on Namecheap for one year which keeps your site secure. But the same will be a paid service after one year. The best thing I liked about Namecheap is the support. They have world-class support team able to help you in any situation. You can connect them through chat, emails, and calls as per your convenience. So, if I have to select from the top and best web hosting for blogs in 2019, I will go with any of these three explained above. For the beginners, I recommend going with 000webhost and once you are good to pay and expand, you can go ahead with the paid plans as desired. And based on the above parameters, we found 000webhost, BlueHost, and Namecheap as the perfect fit. As 000webhost also offers completely free web hosting solution and so, it has some extra edge for sure. What do you think on this? Let me know your fav web hosting for blogs!